… she is a Queen, since she bore a son who, at the very moment of His conception, because of the hypostatic union of the human nature with the Word, was also as man King and Lord of all things. 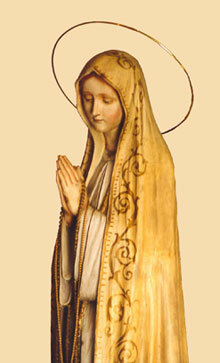 So with complete justice St. John Damascene could write: "When she became Mother of the Creator, she truly became Queen of every creature.” But the Blessed Virgin Mary should be called Queen, not only because of her Divine Motherhood, but also because God has willed her to have an exceptional role in the work of our eternal salvation. At the beginning of the celebrations of this year’s Easter Vigil, the Easter candle was inscribed with a cross and the Greek letters “alpha” and “omega”, as well as with the numbers of our current year. Five grains of incense were inserted into the candle's cross, symbolizing the Five Wounds of Christ. 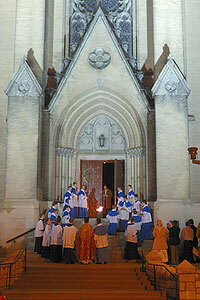 Then, after the candle is lit in the new fire, it is carried into the Church, symbolizing the risen Christ, the true source of all light and hope. 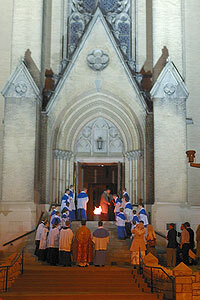 It will remain in the sanctuary on the gospel side throughout the days of Easter, until Ascension Thursday. O blessed night! This is the night of which it was written, and the night shall be lightened as the day, and night shall be the light of my delights! 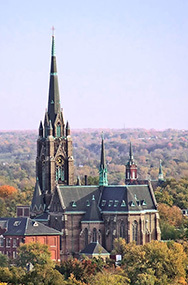 Thus sings the deacon as he fulfils his most solemn duty of the entire year: the chanting of the Exsultet by which the lingering clouds of Passiontide are cast away and the first light is seen from the Sun of Justice who is about to rise. 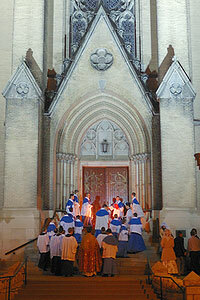 On Holy Saturday in St. Louis, 2011, the rains let up outside St. Francis de Sales Oratory at the moment the procession left the sacristy to make for the entrance of the church. Of all gifts which God has given to man in the created world, none is more excellent than the gift of fire. And on this holiest of nights, fire, too, must be blessed and consecrated to Divine worship. For tonight the fire will be used to light the Paschal candle, glorious symbol of the presence of our risen Lord among us during the forty days of unbounded joy which follow the forty days of penance. 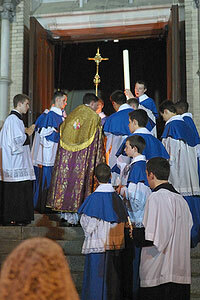 The sacred liturgy is a means and a sign of the unity of the Church. 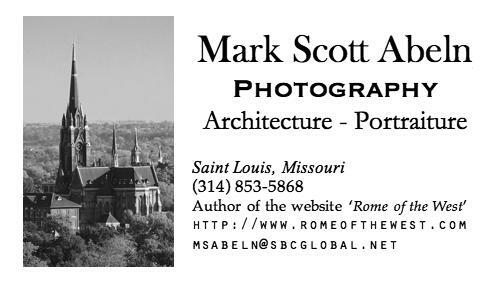 This is clearly evident as we peruse the recently published photos of Palm Sunday from Africa. The Solemn Palm Sunday liturgy at the Institute parish Notre-Dame de Lourdes in Gabon was celebrated by Monsignor Gilles Wach, Founder and Prior General of the Institute, who just visited us a month ago. 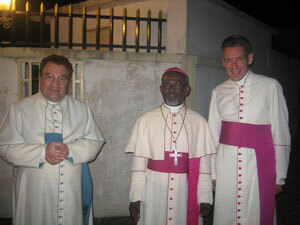 Also present was Monsignor Michael Schmitz, Vicar General in the Institute. 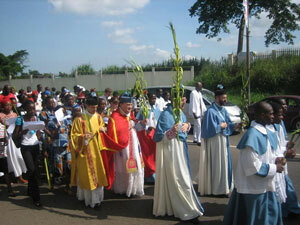 The palm procession, led by the clergy, and servers in the distinctive Institute blue cassocks, included over five hundred adults and children as it wound through the streets of Libreville. 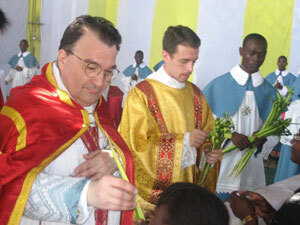 As Canon Michael Stein recently described to us, this Institute parish, founded less than four years ago in Libreville, capital city of Gabon, has quickly swelled to nearly one thousand families. Yet, in spite of the differences in distance, language and culture, the Palm Sunday liturgy in Gabon is as familiar to us as our own in St. Louis. 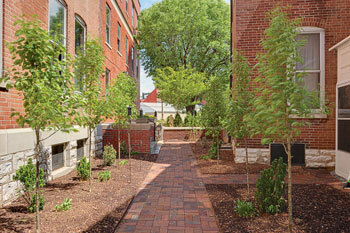 Few architectural complements can add the same beauty and vitality to a gray, man-made edifice as a well-tended garden. 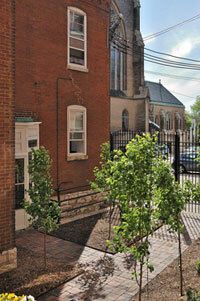 Thanks to the design and implementation by Oratory member families, the Oratory’s little renovated garden, between rectory and convent, is growing and thriving. 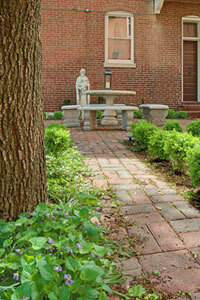 With the statues of St. Joseph and the Blessed Virgin looking on, the paved brick walk guides the way around the perennials planted last summer. 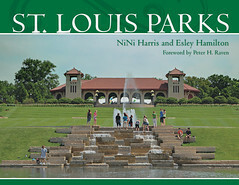 Against this backdrop, the delicate leaves of the newly planted trees and the nodding Lily of the Valley blossoms are flourishing in our lovely Spring weather. As this little garden continues to grow, may Our Lord bless our work in the vineyard as He has blessed our well-tended garden!